Mixed Bag Mama: Useful "Weeds"
Now that spring is here, it won't be long before weeds start popping up. However, did you know that most weeds are actually herbs and can be quite useful? It's true! You probably have some in your own yard and didn't even know it! Chickweed has become one of my favorite "weeds" over the past couple of years. That was around the time that I decided to try making some herbal salves and let me tell ya, they really do work! As far as beneficial properties, chickweed is good for healing minor burns and other skin irritations, such as rashes, insect bites, and is even reported to help with skin conditions such as acne and psoriasis! 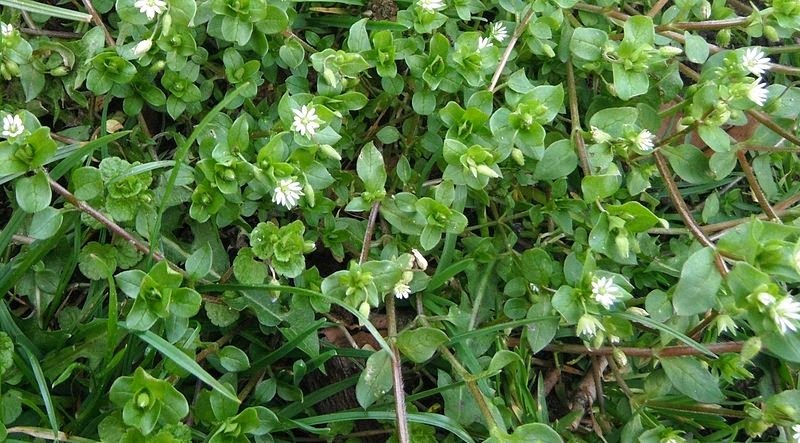 Parts of chickweed can also be eaten in salads and works as a diuretic as well. Chickweed looks more like a ground cover than a traditional "weed". Plantain is another one of my favorites. No, not the tiny bananas. See the picture above? Look familiar? Chances are you probably get these popping up in your yard all the time too during the spring and summer, in either the broad leaf or narrow leaf varieties. Or maybe both! 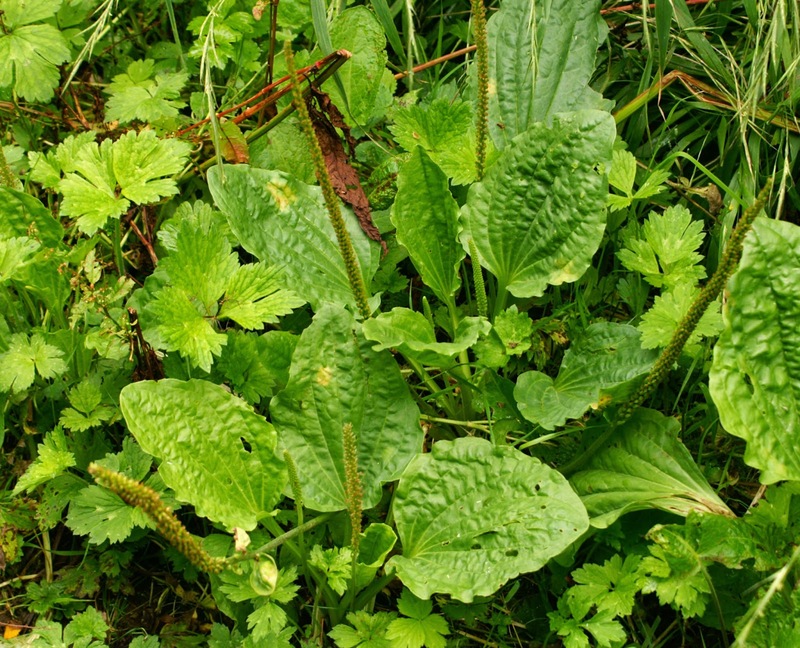 The properties of plantain are very similar to chickweed, as it is good for helping with insect bites, cuts, and rashes. It has both antibacterial and anti-inflammatory properties. You can mash it up and apply it directly to wounds/bug bites as a poultice or make it into a salve as well. (Salves are super easy to make, by the way. Plus, I used the plantain one I made on cuts/scratches on both me and Myka and I swear they healed at least twice as fast as using antibiotic cream.) You can also eat plantain leaves as a salad and it is purportedly similar to spinach, but, despite my love for spinach salad, I have not gotten adventurous enough to try it for myself! There are tons of other useful weeds out there, but let's go ahead and end with dandelions. Ah yes, the despised dandelion. How could those possible have any use, right? As with the previous two "weeds", dandelions can also be used as salad greens and dandelion tea has become increasingly popular recently. Dandelion tea contains several vitamins and minerals and makes a good liver detoxifying tea. Dandelion is also reported to help with gastrointestinal upsets, anemia, serve as a blood cleanser, and much more! Original chickweed picture: http://commons.wikimedia.org/wiki/File:Stellaria_media,_chickweed.jpg by Ursus sapien under this license.